–Access Granted – Ladies Night Out Edition. 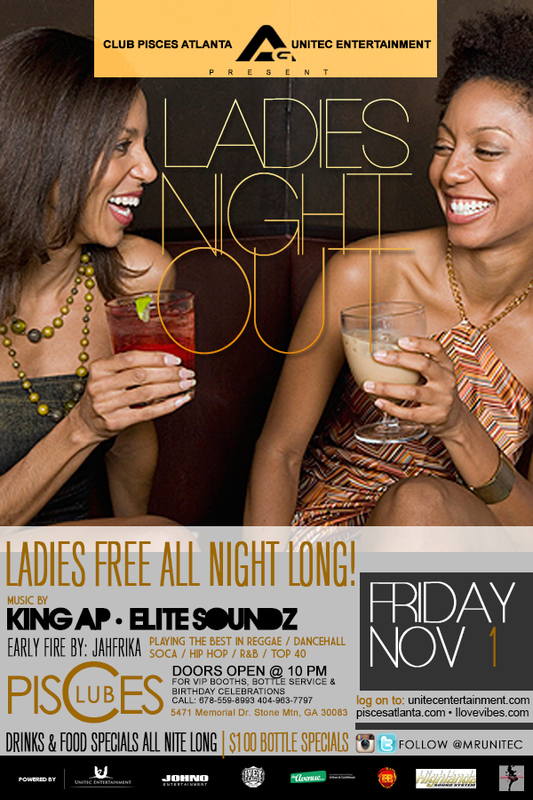 Music by: King AP & Elite Soundz This Friday, November 1st @ Club Pisces. LADIES FREE ALL NIGHT!